New shows launch every week. 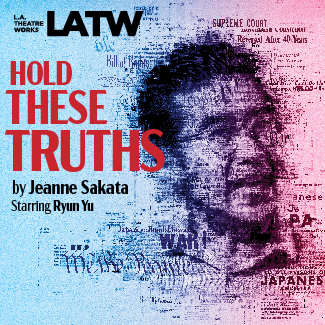 Listen to our National Broadcast Series on KPFK in Los Angeles and on our Station Affiliates in more than 50 U.S. markets — or stream here! The artist Mark Rothko has just hired Ken, an aspiring artist, to be his assistant—and errand boy. Ken discovers that Rothko’s temper can run hot; but as he gets to know his boss better, he finds that Rothko has opened him up to more than just painting. A 2010 Tony® Award-winner for Best Play. Includes an interview with Dr. David Anfam, who has written a number of highly-regarded works about modern art, including Mark Rothko: The Works on Canvas, a monumental catalogue raisonné of Rothko’s canvas work, which won the 2000 Mitchell Prize for the History of Art. 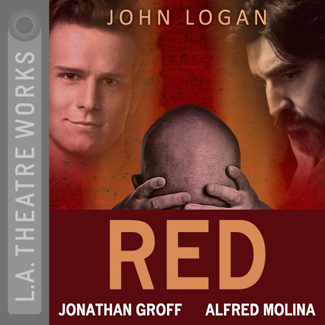 Recorded in Los Angeles before a live audience at The James Bridges Theater, UCLA in March of 2013. The Watts Towers Project focuses on Simon Rodia, the Italian immigrant who spent 33 years building his towers, only to walk away from them, never to return. 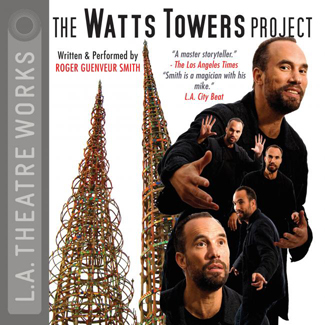 Famed actor and monologist Roger Guenveur Smith blends his own childhood, the life of Rodia, and L.A. history to create a wonderfully eclectic piece. Recorded before a live audience at the Skirball Cultural Center, Los Angeles in January of 2007. 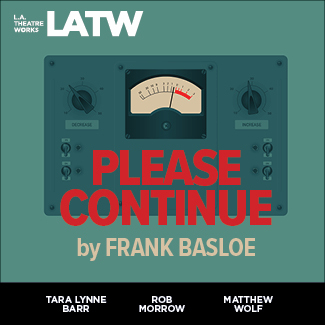 Based on the true story of renowned social psychologist Stanley Milgram, “Please Continue” recounts the infamous obedience experiments at Yale in the 1960s. In that study, participants were asked to administer strong electric shocks to a subject who gave the wrong answer to a question, not knowing that the shocks were fake, and they were the real subject of the study. The play examines how the experiments gave insight into the nature of authoritarianism and individual morality. Includes an interview about science and ethics with Mary Helen Immordino-Yang, a Professor of Education at the Rossier School of Education, a Professor of Psychology at the Brain and Creativity Institute, and a member of the Neuroscience Graduate Program Faculty at the University of Southern California. Producing Director: Susan Albert Loewenberg. Associate Artistic Director: Anna Lyse Erikson. Mixed by Mark Holden for The Invisible Studios, West Hollywood. Senior Radio Producer: Ronn Lipkin. Foley Artist: Jeff Gardner. Script Supervisor: Nikki Hyde. Recording Engineer, Editor and Sound Designer: Erick Cifuentes. Recorded at The Invisible Studios, West Hollywood. Please Continue is part of L.A. Theatre Works’ Relativity Series featuring science-themed plays. Lead funding for the Relativity Series is provided by the Alfred P. Sloan Foundation, bridging science and the arts in the modern world. 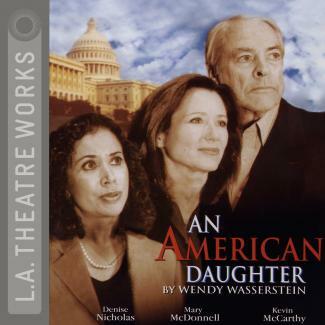 Pulitzer-Prize winner Wendy Wasserstein spins a comic and moving tale about the pitfalls that await political appointees. As a respected health crusader and devoted wife and mother, Dr. Lyssa Hughes seems perfect for the role of U.S. Surgeon General, until a chance remark at a fashionable brunch sets off a media feeding frenzy. Recorded before a live audience at the Skirball Cultural Center, Los Angeles in October of 1998. 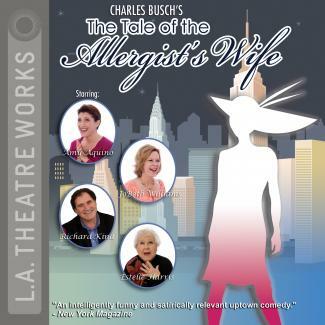 A raucous comedy from Charles Busch, one of America’s most outrageous playwrights! New York dilettante Marjorie Taub, a middle-aged doctor’s wife, is hooked on culture—mornings at the Whitney, afternoons at MOMA, evenings at BAM. Plunged into a mid-life crisis of Medea-like proportions, she’s shaken out of her lethargy by the reappearance of a fascinating childhood friend. Recorded before a live audience at the Skirball Cultural Center, Los Angeles in May of 2007. An idealistic American diplomat locks horns with a mercurial Soviet negotatior during a series of conversations in the woods outside Geneva. As their mutual friendship and understanding deepens, an awareness that their work may ulimately be pointless casts a shadow over their hopes to achieve a lasting peace. Lead funding for A Walk in the Woods is generously provided by The John Logan Foundation. 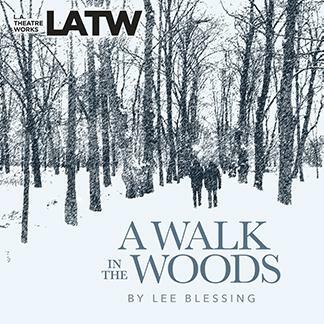 Recorded before an audience at UCLA's James Bridges Theater in January 2019. Producing Director Susan Albert Loewenberg. Recording Engineer and Sound Designer, Mark Holden. Production Manager, Rick V. Moreno. Script Supervisor, Daniel Trostler. 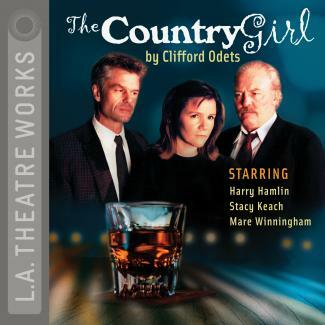 Clifford Odets, one of America's great dramatists, rocked the worlds of Broadway and Hollywood in this moving drama about a desperately self-destructive alcoholic actor and his long-suffering wife. A searing and emotional play of love and redemption. Recorded before a live audience at the Skirball Cultural Center, Los Angeles in November of 2001. During WWII in Seattle, University of Washington student Gordon Hirabayashi fights the US government's orders to forcibly remove and incarcerate all people of Japanese ancestry on the West Coast. As he struggles to reconcile his country's betrayal with his passionate belief in the US Constitution, Gordon begins a 50-year journey toward a greater understanding of America's triumphs - and a confrontation with its failures. Recorded at The Invisible Studios, West Hollywood in December 2018. Help us bring live and recorded theatre to the world. Click below to learn more about the perks of annual membership, or to make a general tax-deductible donation. Stream on demand, or subscribe to our podcast. L.A. Theatre Works and the Alfred P. Sloan Foundation present the Relativity Series: stories about science as a thoroughly human endeavor.